It looks like HTC wants nothing to do with the hustle and bustle of CES in early January or MWC in February. Instead, the Taiwanese company wants the spotlight all to itself, not long after CES concludes. 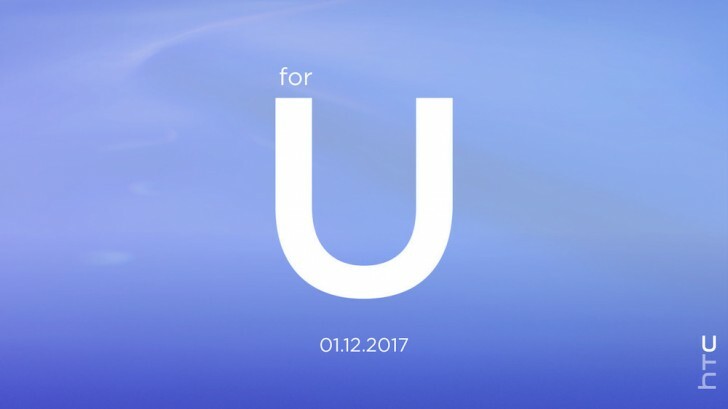 On January 12, HTC will be unveiling something "for U", as you can see from the teaser image below. This cryptic message has been outed by the company today, but with absolutely no additional details. So for now you can mark January 12 in your calendar, and hope for the best. If you're thinking this might be about the HTC 11, sure, that's possible, but judging by the amount of leaks and rumors we've heard about that phone up until this point (read: not many), we wouldn't bet on it. On the other hand, the recently leaked X10 was rumored to have a January launch date. And there's also the possibility that this may not have anything to do with smartphones at all - it's impossible to tell going only by this teaser. So hopefully HTC will reveal some more details in the next few days.